Many states require a person seeking custody of a child to file an affidavit that contains little more than basic information. In Massachusetts, for instance, any party who seeks custody of a child must complete an Affidavit Disclosing Care or Custody Proceeding. This form asks the person who is requesting custody to list the names of the children whose custody is at issue, the addresses of all relevant parties, and provide other basic legal pertaining to the case. While some state family courts ask people seeking custody to fill out an affidavit that is little more than a form, others require them to provide relevant facts that might justify an award of custody. People filing this kind of affidavit should not include opinion, irrelevant facts or legal argument. They must not mention settlement negotiations, nor should they mention rumors they've heard from others. They should simply state the relevant facts in a neutral tone. Some state courts accept affidavits from people who are not seeking custody of the child. If properly prepared, these affidavits, which are sort of like letters to the court, can provide the court with important information. An affidavit filed to support another person's claim of custody should take a neutral tone, because judges tend to disregard affidavits that seem overly opinionated. People submitting an affidavit should begin by providing the judge with their background and connection to the case. Then they should list facts the judge might consider relevant. 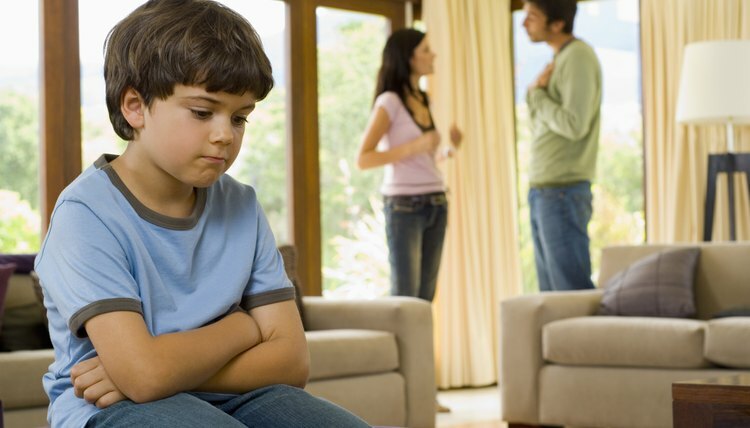 A child may file an affidavit with the court stating that he prefers to live with a particular party. Usually, the child must reach a particular age before filing such an affidavit. For example, in Texas, the child must reach the age of 10. A child's affidavit can carry great weight with the parties seeking custody and the judge. Children can communicate their wishes by speaking directly with a judge in the judge's chambers in some states. The party can also file an affidavit in support of a motion to modify custody. Depending on the state, these affidavits can contain either basic personal information or they can contain substantive information. In the latter case, the affidavit often must explain exactly why the court should alter the child's current custody arrangement. For example, in Oregon, a parent might argue that the other parent is guilty of gross moral misconduct, that the parent is unstable, or that the child is endangered in the care of the other parent. Gregory S. Forman, P.C. : How Does One Draft an Affidavit? MInnesota Family Law Issues: What Is an Affidavit" and What Is it Not? What Is in a "Character Letter" for a Child Custody Court Hearing? In a child custody case, judges and custody evaluators assess what arrangement is in the child’s best interests. To assess the best interests of the child, the court may consider the character of each parent and their ability to meet the child’s needs. A character letter can serve as a type of evidence attesting to a parent’s fitness. Most often, custody character letters are employed in contested cases, such as divorces where one parent is seeking sole custody and the other wants joint custody.